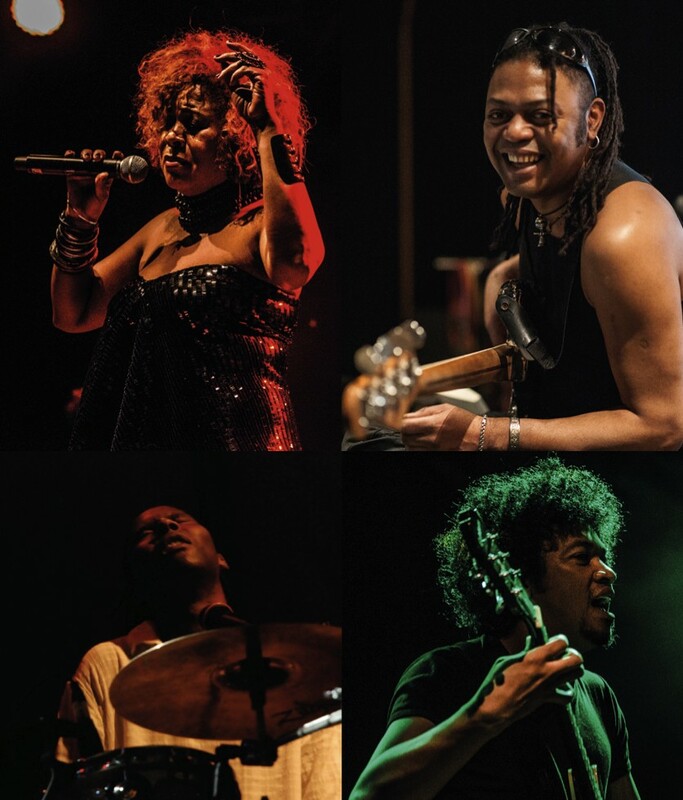 Travel to the Indian Ocean with the diva of Madagascar for a dazzling fusion of traditional Malagasy music and contemporary jazz. Young men discuss a dispute over a woman that took place in the village of Ampasimahebo. The iconic jazz standard – but not as you know it! The song is transformed in the tsapiky style of southwest Madagascar. The story of Voantsarotse, a woman who is sad because of a difficult husband. Of all the birds, Railovy has the sweetest voice. The others are jealous, but each has its own destiny. The song combines jihe, the ceremonial rhythm of southwest Madagascar, with vocal improvisation inspired by the Antanosy people of the southeast. A woman describes her guy (benaiky) with much admiration. When a girl rejects a marriage proposal from King Retsevere he decides to drown himself. She changes her mind, but too late. The humiliation has happened. The song recounts the manipulation and crimes committed by foreigners in Madagascar during the colonial period. Without revealing her secret (sekire), a woman tells her husband she is leaving. His pleas for her to stay for the sake of the children are met with silence. We’ll always remember (ho tsarovantsika) when we were children. When we played, were always together and happy. When Mother and Father were alive. After arriving on Island Jazz, keep an ear out for antsa sung by Masikoro women in the cotton fields north of Tuléar. Southern beko from the Antandroy people around Fort Dauphin. And the nostalgic operette of the capital Antananarivo. Each song tells a story: a spurned king, a flock of jealous birds, the crimes of colonial rule, a woman’s secret, or the yearning for a lost, golden childhood. The Island Jazz quartet reworks these traditional melodies with modern harmonies. And twists irresistible rhythms like tsapiky and jihe into surprising contemporary forms. You’ll even encounter a Duke Ellington classic – but not as you know it. And get ready to be blown away by virtuosic improvising from some of the most inventive players on the planet. These are the musical treasures that await you on Island Jazz. 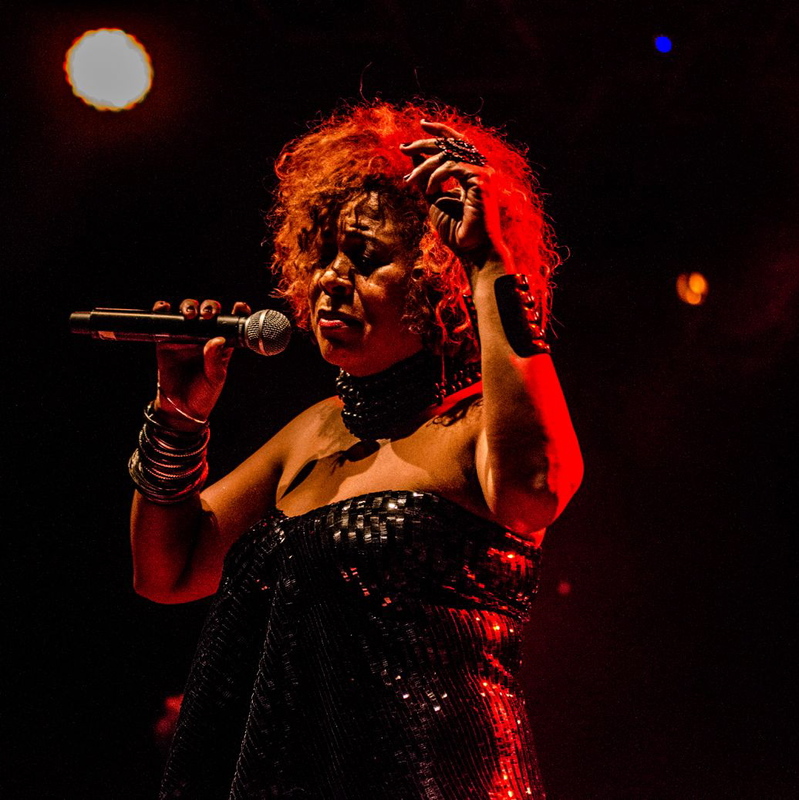 Celebrated across Madagascar as the national diva, Monika Njava was lead singer in the prize-winning group Njava, recording two critically acclaimed albums for EMI. She has recorded with platinum-selling Deep Forest and tours with the band. Haizina, a world-pop solo album, was recently released on Anio Records. Singing in several Malagasy dialects, Monika draws on traditional tales and everyday village life for her lyrics. She also addresses contemporary themes, including violence against women, political corruption, and the environmental devastation of her country. Her powerful voice and explosive presence radiate pure emotion. …a musician who seems to know everyone told me that Monika was ‘The voice of Madagascar’. Four weeks later when we left, I knew what he meant. 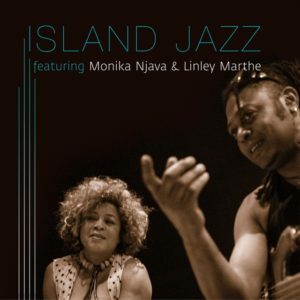 From the island of Mauritius in the Indian Ocean east of Madagascar, Linley Marthe is considered by some as the world’s foremost jazz bassist (see quote below). Now based in Paris, he continues to wow audiences with his incredible musicianship and deep groove. Linley played with The Joe Zawinul Syndicate for the last several years before Zawinul died. Other top artists Linley has worked with include Cheb Mami, Dave Liebman, Nguyen Le, Trilok Gurtu, Jean Luc Ponty, Paco Séry and Randy Brecker. Linley is just a phenomenon. I don’t know if there is anybody who can touch him in terms of overall bass playing. Linley Marthe is a phenomenon, with a fantastic ear and breathtaking abilities on bass. Joël Rabesolo grew up playing the traditional four-stringed kabosy. Now the most celebrated guitarist of his generation in Madagascar, he interprets the island’s rich array of regional styles with sophistication and extraordinary inventiveness. Admitted into the Royal Conservatory of Brussels, he was quickly invited by his guitar professor to form a jazz duo. 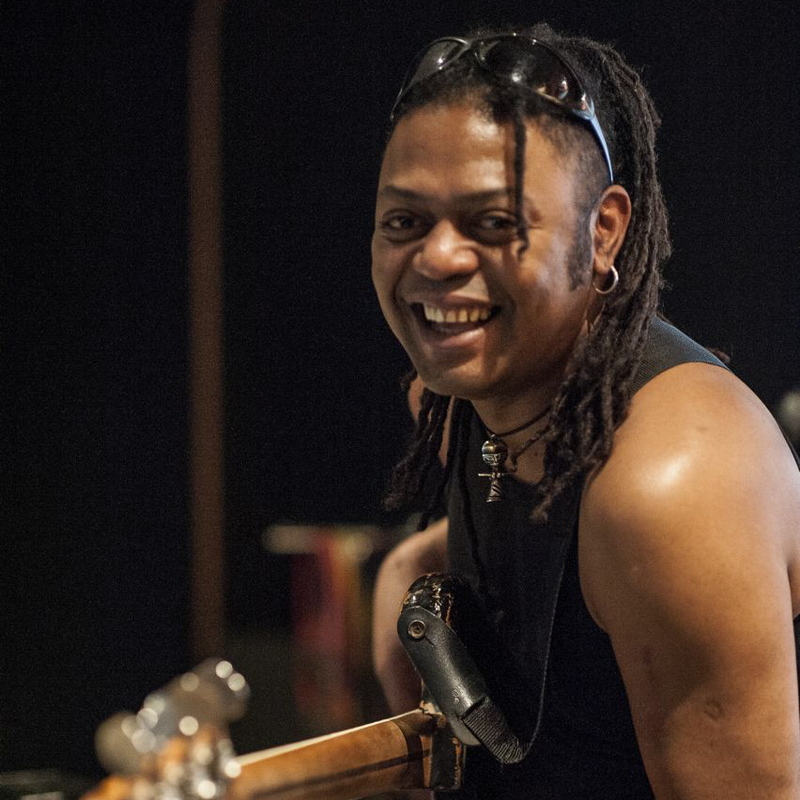 Joël has worked closely with Monika Njava since 2012 and is a member of supergroup Toko Telo. He also records and tours as part of Malagasy Guitar Masters. His dexterous playing ranges from hard rock to startlingly unconventional. 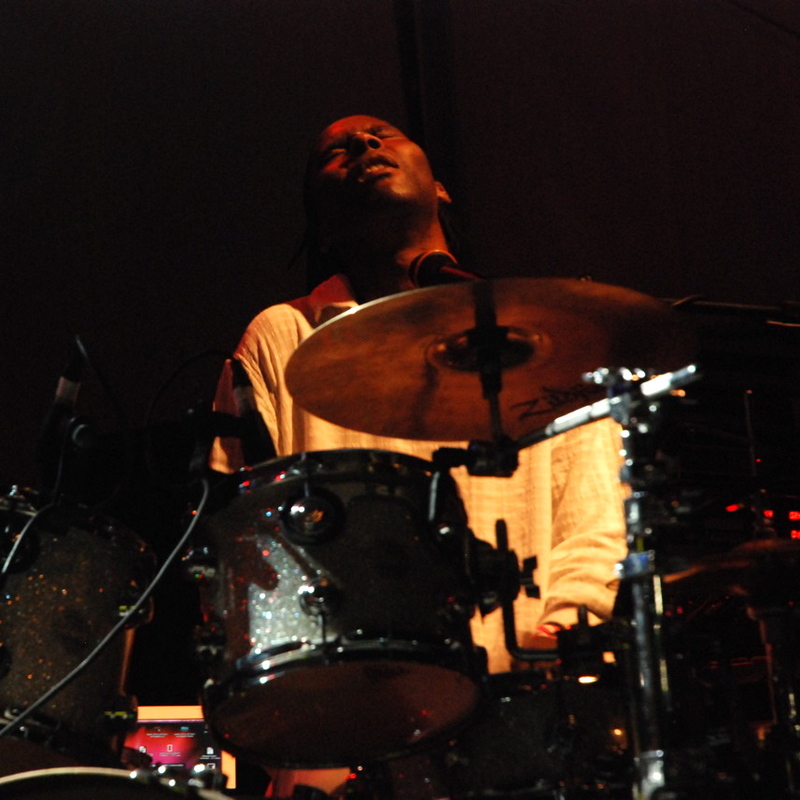 Originally from Mozambique, Deodato Siquir is now based in Stockholm, where he is one of the most in-demand drummers on the jazz and world music scene. 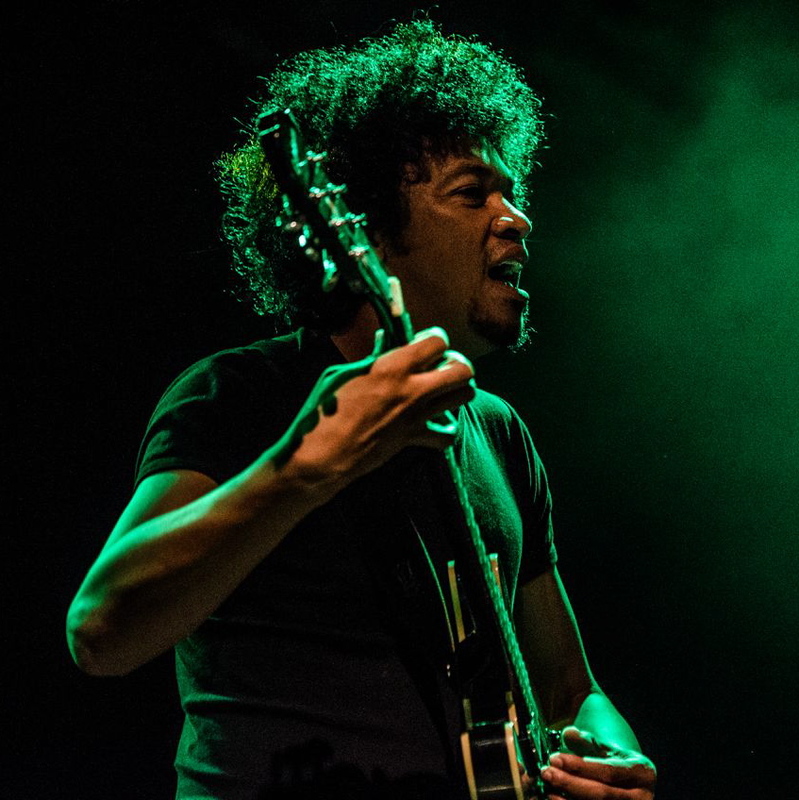 A singer, guitarist and composer as well, he has worked across Europe with, among others, Etienne Mbappé, Linley Marthe and the Vilnius Jazz Orchestra. Deodato’s infectious smile and livewire performances are likely to spread beyond the circle of admirers he has established in Scandinavia.